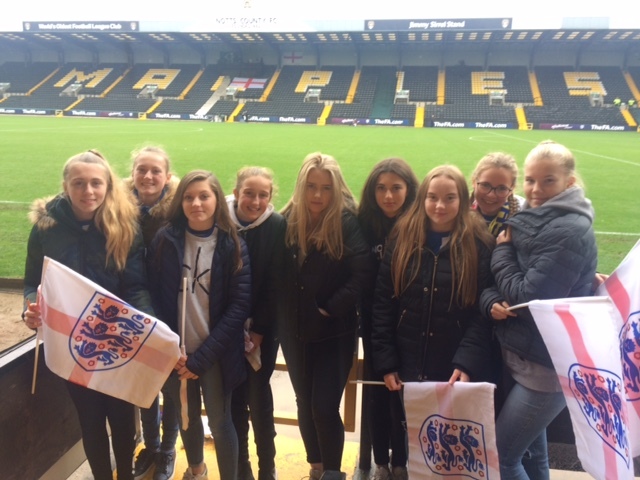 Kirk Deighton Rangers U14s Girls travelled to Meadow Lane, Nottingham to watch England Lionesses take on Brazil in a friendly. Both teams are warming up for next summer's World Cup in France and this was an opportunity for the girls to see the current Best FIFA Women's Player, Brazil's Marta in action. England started well and scored after two minutes and really dominated the game but missed a number of chances. There was no further score and the Lionesses won 1-0. The Kirk Deighton Rangers girls were impressed by England’s style and thoroughly enjoyed the experience.